Headed to Chicago Tuesday, April 26th, non-stop from Albuquerque to Chicago on Southwest Airline. Prayers please that the top of the plane doesn’t fly off!! I have set myself the challenge of posting directly from the Fair frequently.Going with my fabulous gallerist and Energizer Bunny, Karla Winterowd, owner of Winterowd Fine Art , Santa Fe, NM. I am her wingman..er.. woman. We will be taking eight of my landscape paintings along with work from other painters and sculptors in the gallery. Karla has such a great eye for work. Art Chicago® 2011, the annual international fair of contemporary and modern art, brings together the world’s leading emerging and established galleries. Art Chicago offers curators, collectors, artists and art enthusiasts a comprehensive survey of current and historic work, from cutting-edge to modern masters in a wide variety of media including: painting, photography, drawings, prints, sculpture, video and special installations. Art Chicago is proud to be North America’s premier fair committed to intelligent and relevant educational programming, exhibitions, and special events, while also providing a unique showcase for artists, museums and cultural institutions from key regional and other US cities. 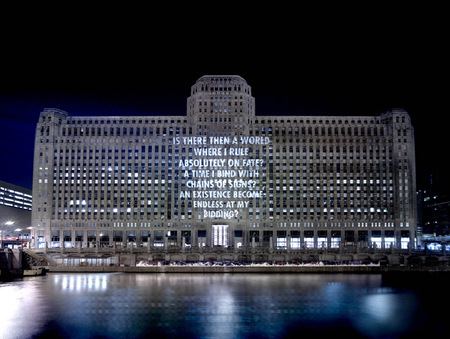 Art Chicago 2011 will take place April 29 – May 2, with an Opening Preview on April 28. Looking forward to hearing the details!!!! Thanks for taking the rest of us with you! Looking forward to your posts.